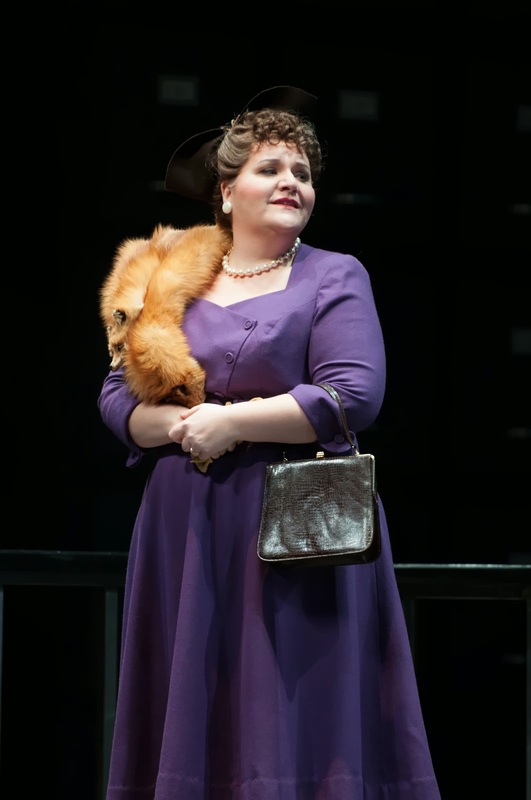 “In endless waiting rooms, the hour stands still …” — When Maggie Gawrysiak sings for the first time in The Consul, it’s hard not to pay attention to her lush and resonant mezzo. 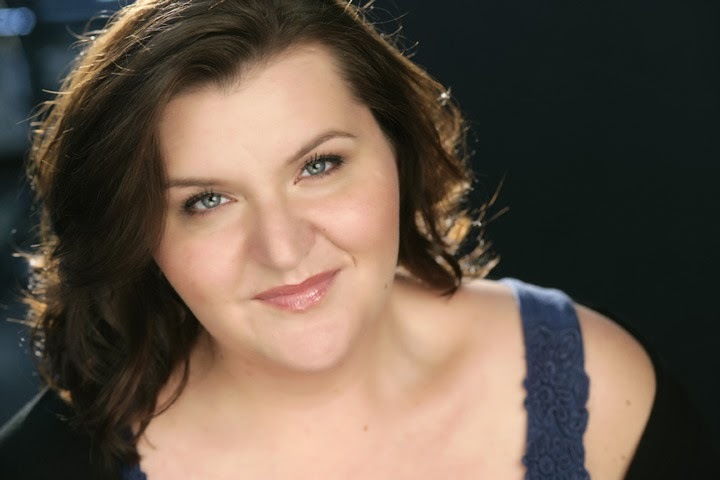 This theatrical artist, known for both her unique voice and acting chops, makes a powerful impression as the intriguing Vera Boronel in her mainstage debut. You first came to Seattle Opera for the Young Artists Program but this is your first time performing on the mainstage. How does it feel? It's lovely to be back in Seattle. I lived here for two years during my time in the Young Artists Program and have many friends in the community. How has your voice changed since we last heard you singing in Midsummer Night’s Dream? I'm not sure how my voice has changed since my time as a Young Artist but I know that working with a wonderful voice teacher has helped me greatly. What are some of your favorite YAP memories? 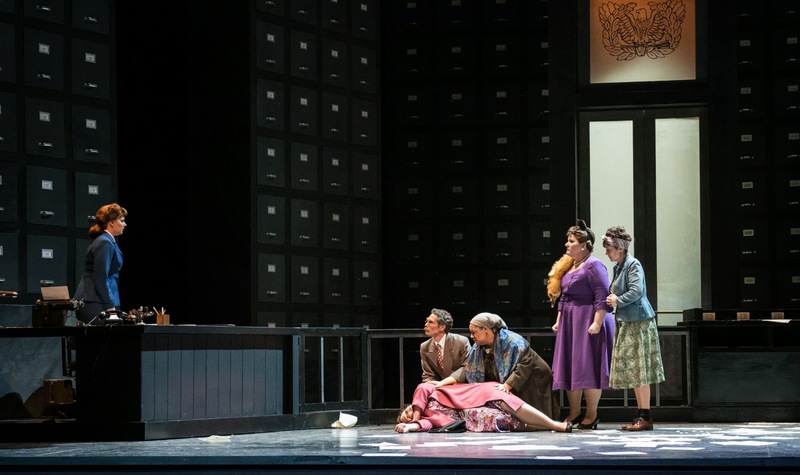 Some of my favorite YAP memories include performances of Theft of the Gold in local schools and singing Zita in Peter Kazaras' hilarious Gianni Schicchi. Margaret Gawyrsiak as Vera Boronel in The Consul. You’ve reunited recently with Peter, who directs The Consul. Working with Peter was very important in my development as a young artist. I was thrilled to have another opportunity to work with him in The Consul. On the first day of rehearsal for this show, Peter asked the cast and staff to share their own real-life stories of fleeing to escape persecution. The conversation on our first day of rehearsal gave such great insight as to why this piece is timely and relevant today. Tell us about your character in this opera. The most interesting thing about Vera Boronel is that she is the only character in The Consul to receive her papers and blessings to leave the country. She wears expensive furs and beautiful jewelry in our production which might suggest that wealth has helped her with bureaucracy. 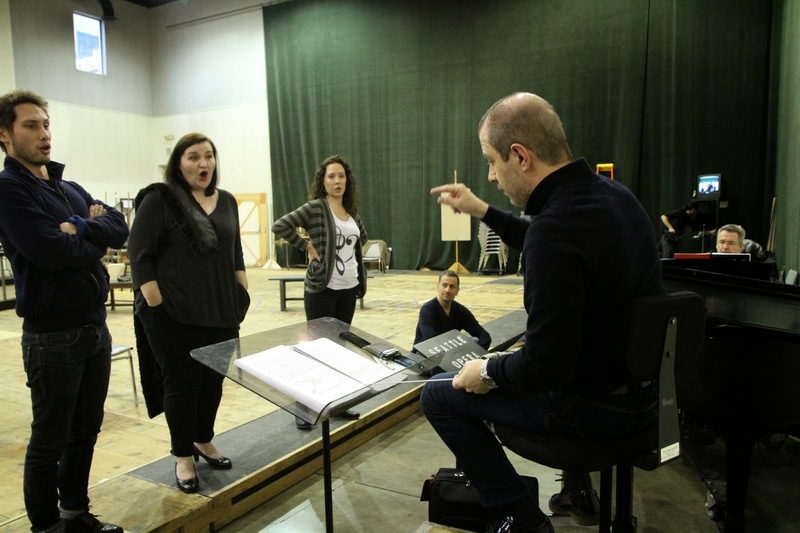 Colin Ramsey, Margaret Gawrysiak and Dana Pundt rehearse The Consul with maestro Carlo Montanaro. Is Vera, a privileged character, sympathetic to the plight of people like Magda? Vera is definitely sympathetic to Magda's struggles. The characters sitting in the waiting room hear each other's stories and understand what they are going through. What’s the biggest challenge to your part in The Consul? It is a challenge to stay in character and remain focused during Magda's thrilling Act 2 aria. People should come see it because it is a rarely-produced piece of theater cast with excellent singers and actors. There's still two more opportunities to see The Consul! Margaret Gawrysiak (second from right) with members of the cast from The Consul. Thank you for sharing and expression was very nice.